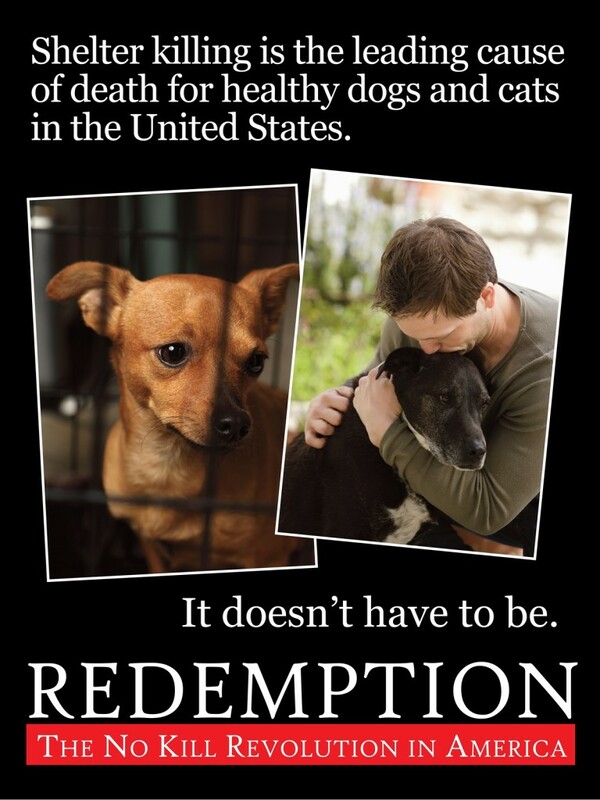 Redemption, my documentary about the No Kill revolution in America, is now — and will always be — available for free. This is the story of animal sheltering, which was born of compassion and then lost its way. It is the story of the No Kill movement, which says we can and must stop the killing. It is about heroes and villains, betrayal and redemption. And it is about a social movement as noble and just as those that have come before. But most of all, it is a story about believing in the community and trusting in the power of compassion. Watch it anytime by clicking here. The film is safe for animal lovers to watch. There are no gratuitous images and while a couple of images may be difficult, it is ultimately an uplifting film about the hope, promise, and success of the No Kill philosophy.